Download the app and have Matomo Analytics on the go. Need your analytics on the go? Use our free Matomo Mobile app to check your stats from anywhere and show them to colleagues in meetings. 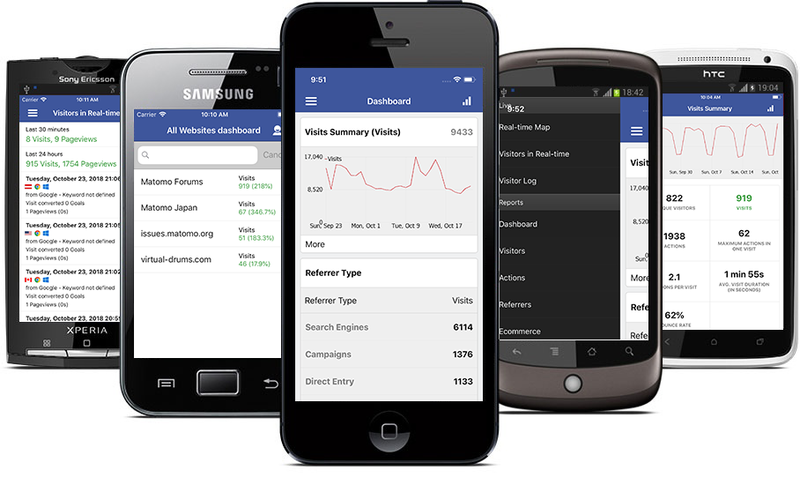 Matomo Mobile offers all the same reports as the desktop interface, and displays your visitor data in real time! Matomo Mobile is the official Matomo app for iOS and Android phones and tablets. We’ve kept the Matomo Mobile App as close to the web version as possible, keeping the same look and feel while offering the same excellent functionality. Just like the software, the apps are open source, free and available in more than 50 languages!